Apple is now making a version of the iPhone 4 for Verizon’s network, according to a person who is in direct contact with Apple. Apple and Verizon will begin selling the phone early next year, said the person, who agreed to speak on condition of anonymity because the plans were supposed to be confidential and he did not want to alienate his contacts at Apple. The New York Times cites the intense competition from Google Android as the motivation to bring the iPhone to Verizon’s network, in addition to being a preemptive strike against Microsoft’s upcoming Windows Phone 7. The Wall Street Journal also notes the early 2011 Verizon iPhone release date, again citing Android growth as the primary reason for Apple to end the longstanding iPhone exclusivity agreement with AT&T. Amongst rumors that the next iPhone will use 4G LTE service, it was originally thought Apple was waiting for Verizon 4G before bringing iPhone to the largest cellular provider in the USA. At this point, it looks like the need for Apple to stem Android growth and preempt Microsoft will supercede the wait for Verizon’s 4G LTE infrastructure. 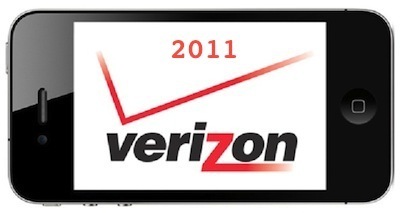 It remains unknown if the Verizon iPhone will be the same as the existing iPhone 4 model. An earlier report indicated that the CDMA iPhone will feature a metallic enclosure with integrated antenna, rather than the existing glass-backed Phone 4 which has had some well publicized antenna reception issues.